When dealing with UL high security safes you will find that there are several different ratings. The most common of these are the TL-15 and the TL-30. The most secure of all safes in the world carry a rating of TXTL-60X6. Here is how it works. The first letters represent the tools the safe is tested with. TL stands for “tool”, TRTL stand for “tool and torch” and TXTL stands for “tools, torch and explosives”. The numbers following the letters represent the number of minutes it was tested for. A 15 is 15 minutes and a 60 is 60 minutes. If the rating ends in an “X6” this means that all 6 sides of the safe were tested and passed for the tools and time required for the UL high security safes test. Check out this chart to see which high security safe may work best for you. This information is directly from the UL regarding their testing of UL high security safes. Chisels, wenches, screwdrivers, power saws, cutting torches, crowbars, abrasive cutting wheels, jackhammers, even specified amounts of nitroglycerin are just a few of the “tools” UL technicians use during a safe attack. The idea is to test safes to worst-case scenarios. They use tools that could be found at any construction site or hardware store. 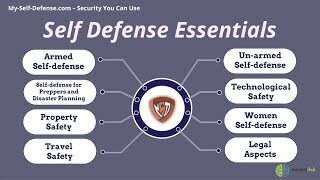 They also analyze blueprints as if the burglar might have blueprints of the design and attack its weakest points to evaluate the safe for certification. UL’s safe attack tests are conducted by a two-person crew. The object is to create an opening large enough to withdraw “valuables” (anywhere from 2- to 6-square-inches on a safe and up to 96-square-inches on a vault), activate the locking mechanism so the door opens or to cut as many bolts from the door as necessary to pry it open before the time specified in the rating requirement expires. Safes are rated for their resistance to attack against specific tools for a set period of time. There are a dozen different ratings, everything from ATM machines, to gun safes to bank vaults. For example, a safe that bears a Class TRTL-15×6 rating, which might be found in a jewelry store, should resist a hand tool and torch attack for a minimum of 15 minutes. A TRTL-30×6-rated safe, which would protect important documents or store money, should withstand an attack for 30 minutes. The ultimate safe rating — a TXTL60 — should withstand an hour’s worth of attack that includes the use of 8 ounces of nitroglycerin. Because of the size and weight of certain safes and vault doors, it is not always practical to have the product shipped to UL’s laboratory locations. UL’s burglary protection staff has traveled to destinations such as Japan, France, Israel, England, Finland, Taiwan and India. In addition to burglary protection ratings, UL also rates safes for their fire resistance protection. Class 350 safes protect paper documents, Class 150 safes protect magnetic tape and photographic film, while Class 125 safes protect floppy disks. In addition to the Class Rating, safes obtain an hourly rating for fire resistance — anywhere from 30 minutes to four hours. Another cool test UL runs on safes is an impact test. This test simulates a safe falling though multiple stories of a building — resulting from a fire that has weakened the structure. After the safe is heated to 2,000 degrees Fahrenheit in a furnace, it’s raised three stories and dropped onto a pile of bricks. In order to meet the requirement, the safe can’t pop open. Temperatures inside can’t rise to above 300 degrees Fahrenheit and sample papers left inside have to be readable. The specialized suits you sometimes find technicians wearing are not just for show. Their entire ensemble, including protective coat, helmet and gloves, protects the crew against the adverse effects of sparking. After all, safety can’t be taken for granted, even within the walls of UL. Safes are just one of the 19,000 product categories that UL tests and certifies. While UL’s burglary protection team cracks combinations, shatters glass and fires .44-caliber bullets at body armor, other UL engineers and technicians keep busy testing everything from TVs, coffee makers and holiday light strings to fire extinguishers, medical CAT scan equipment and building materials. UL high security safes are some of the best safes on the market today. AMSEC Safes has a large variety of UL high security safes ranging in size from small to large. These are a one of the best in quality UL high security safes. There are other top quality safes on the market that range from standard high security safes to luxury high security safes. If your budget allows you can’t go wrong with a UL rated high security safe.